The latest Mossy Oak backpack option features the Break-Up Infinity pattern. 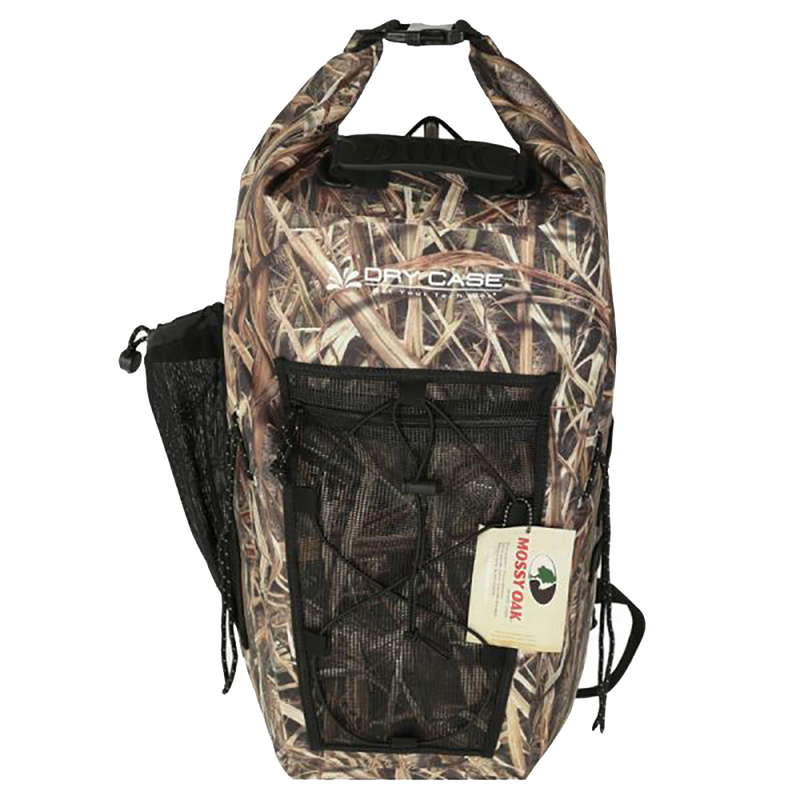 Rugged and versatile, this bag makes a great hunting or travel pack for any condition. This is the perfect waterproof backpack for any active person who wants to bring their belongings along with them during any adventure. The backpack is 100% waterproof and one of a kind, because of its purge valve. With the purge valve you can inflate or compress the backpack, and even use it as a draining tool if using the pack as a shower or cooler. The DryCASE backpack includes a fully waterproof main compartment capable of holding 35 liters, an internal zippered waterproof pocket to store smaller items, a front mesh pocket so you can keep wet items out the waterproof area, side water bottle holder, bungee cords that can hold you other DryCASE items, and lots of padding on the shoulder straps and back support for a comfortable hold. Dimensions: 28" x 15" x 9"